Adair County Primary Center will be under the tutelage of new principal Debbie Bradshaw next year; Bradshaw, a 4th grade teacher at Adair County Elementary School, was recommended for hire by the ACPC site-based council who cited Bradshaw’s passion and commitment to education at Thursday’s monthly school board meeting. Superintendent Dr. Pam Stephens commended the ACPC site based council for spending many hours over-viewing candidate applications, calling references, and conducting interviews. 14 applications were received and nine interviews were conducted throughout the process. Current principal Patti Smith, who is retiring, said that she believes the site-based council made a great choice. 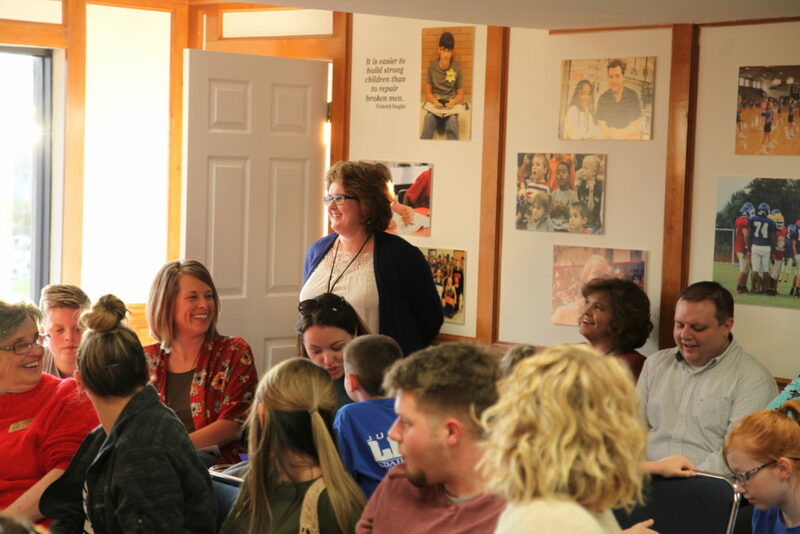 Debbie Bradshaw received a loud ovation from those in attendance at last week’s monthly school board following the announcement that she was chosen to be Adair County Primary Center’s next principal. Bradshaw is currently a 4th grade teacher at Adair County Elementary.